Heading to Disney World? You'll need a place to stay. 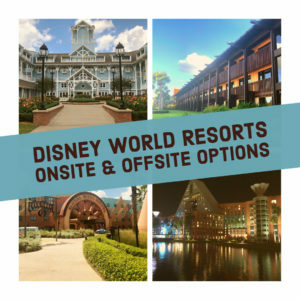 With more than 25 different onsite Disney World resorts to choose from (plus others that are under construction), not to mention the countless offsite options within a short drive to the parks, it may all seem a bit overwhelming. How do you decide where to book your stay? Need help picking a resort? First things first is learning all about your 2 (or more like 2 1/2) main options: onsite, offsite with some benefits, and offsite with no benefits. Just what are those benefits, you ask? Lots of things, like being able to make your FastPass+ reservations at 60 days (instead of 30 days like offsite guests) and having access to Magical Express. Get the full list of perks of staying in an onsite Disney World resort. It is important to understand all of those benefits before you start making any more decisions so that's the first task: read (and understand) about the benefits of staying onsite. You aren't going to get the best location and most amount of space for the lowest price, for example. You'll have to decide what is important for your trip: your location, the total cost, or the amount of square footage or space you'll have. 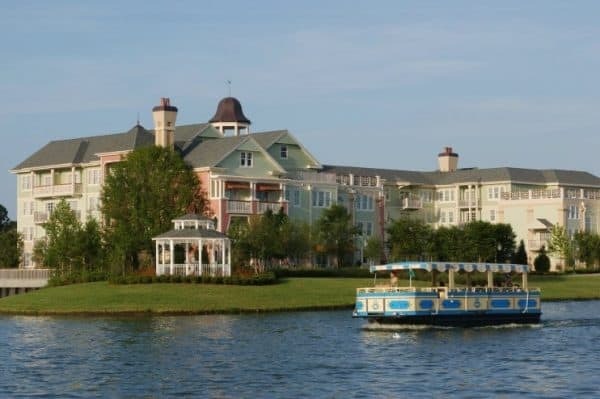 Disney's on-site resort hotels are often thought of as a destination themselves. Heavily-themed and catering to a variety of budgets, you'll want to select one of these resorts for the most all-inclusive feel. Value Resorts are your least expensive option, and that is reflected in them also having the least amount of amenities and the smallest rooms. But Value Resorts are also some of the most fun and in-your-face Disney of any of the Disney World resorts. 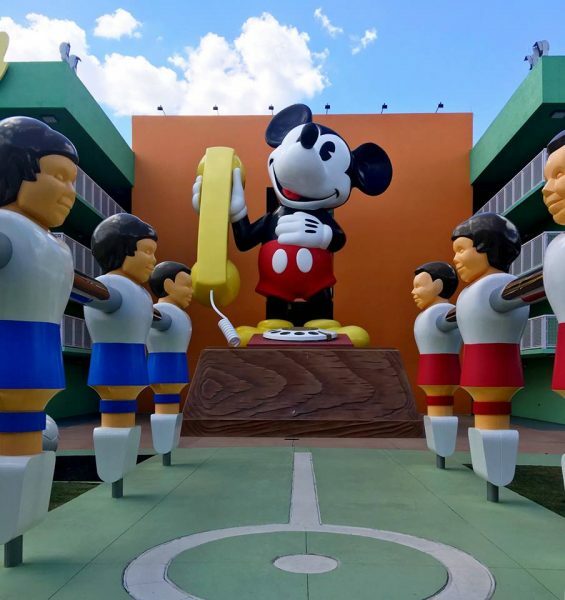 With over-the-top theming and giant icons that flank their grounds, plus family-friendly Quick Service dining options, this is an excellent choice if you're looking for a budget-friendly on-site option that will wow kids. A step up from the Value resorts, Moderate Resorts cost a bit more but have slightly larger rooms and more perks like pools with slides. This is also the level of resorts that offer fun pirate or royal-themed rooms that kids adore. 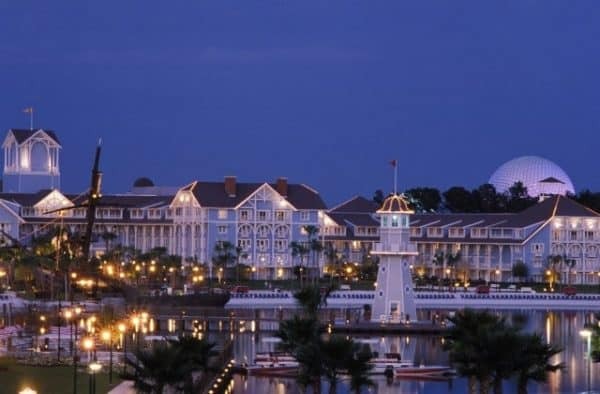 Deluxe Resorts are the closest to the parks, and that comes along with a price tag to match. These are also the most luxurious of the resort options with typically multiple Table Service dining options, transportation options, and things like spas or salons on site. These are your home-away-from-home option. Built for Disney's Vacation Club (their version of a timeshare), Deluxe Villas offer the most space and amenities like full kitchens and villas with multiple bedrooms - perfect for large families. The best part is that you don't have to be a member of Disney's Vacation Club to book one. Generally, offsite typically means lower prices and in some cases, more space. The trade off? Location. There are several resorts and hotels located near Disney World that offer some (but not all) of the same benefits you'll find if you stay onsite. 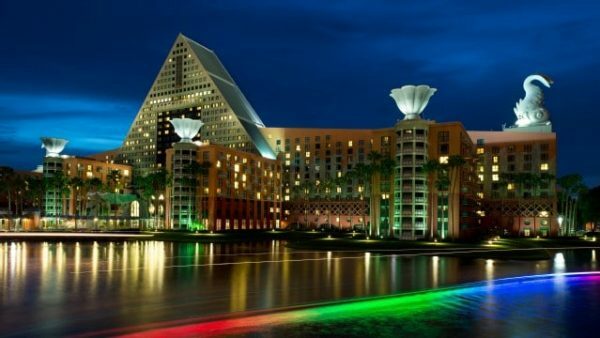 Most offsite resorts don't provide any Disney World benefits, but if you can work around that you'll find lots that can be quite easy on the budget. 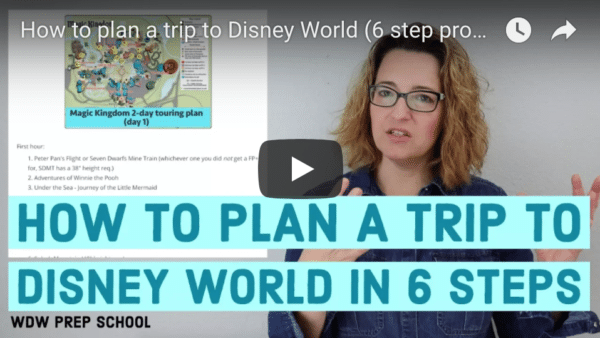 How does a split stay work at Disney World? The handpicked team at Perfect Story Travel specializes in planning Disney World trips and can help your narrow down your options. Fill out the info below to get started. Off-Site Disney World Resorts – best options, some with onsite perks!